Let us give thanks to God with a grateful heart for giving us a very precious gift in Fr. 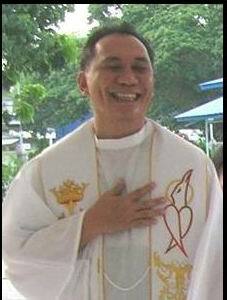 Doms Ramos, our dear CBF-SEA Webmaster and friend who celebrated his 25th Sacerdotal Anniversary last October 22, 2008. Congratulations, Doms, ad multos annos in the service of the Word. We are late, yes, but not too late, for we are still in the octave of this joyful event.Thank you for your big heart and big smile, for your readiness to serve everybody at any time. Whoever comes to you with any technical or spiritual problem knows that he or she can count on you. Our good Lord showers his blessings upon you today and every day of your life! walking with us, reads every Link with great interest and never forgets to respond, to give encouragement and to share his life experiences. Congratulations dear Fr. Wim. May our Good Shepherd keep you in his loving care, in good health, and many more years to care for His sheep. For souls seem but in vain. We have just received the good news of your Silver jubilee. In the name of the whole team here in the General Secretariat I forward our heartful congratulations and best wishes to you. May the Almighty God bless you with his everlasting love and may He grant you his grace and blessing. Thanks so much for all your efforts for the CBF and the biblical pastoral ministry. VATICAN CITY, OCT. 24, 2008 (Zenit.org).- Here is a summary of the concluding message of the 12th Ordinary General Assembly of the Synod of Bishops. The final message was approved today at the 21st general congregation. “With all those everywhere who call on the name of our Lord Jesus Christ, their Lord as well as ours. Grace to you and peace from God our Father and the Lord Jesus Christ” (1 Cor 1:2-3). With the Apostle Paul’s greeting – in this year dedicated to him – we, the Synodal Fathers gathered in Rome for the XII Ordinary General Assembly of the Synod of Bishops, with the Holy Father Benedict XVI, address to you a message full of reflection and proposals on the Word of God that has been the center of our assembly’s work. It is a message that is entrusted to our pastors in the first place, to the many, generous catechists and to all those who guide you in a loving listening and reading of the Bible. Now, to you, we would like to outline the soul and the substance of this text, so that it may grow and deepen your knowledge and love for the Word of God. There are four cardinal points on the horizon that we invite you to know and that we will express through just as many images. First of all there is the divine Voice. It echoes in the beginnings of Creation, breaking the silence of nothingness and giving origin to the marvels of the universe. It is a Voice that penetrates in history, wounded by human sin and distressed by suffering and death. It also sees the Lord walking with humanity to offer His grace, His Covenant, His salvation. It is a Voice that enters into the pages of the Holy Scriptures, which we read today in the Church, guided by the Holy Spirit, who was given as the light of truth to it and to its pastors. Also, as Saint John wrote, “The Word became flesh” (1:14). Here then the Face appears. It is Jesus Christ, who is the Son of the eternal and infinite God, but also the mortal man, tied to an historical era, to a people and to a land. He lives the exhausting existence of humanity till His death, but rises glorious and lives forever. He makes our encounter with the Word of God perfect. He unveils to us “the full meaning” and unity of the Holy Scriptures, therefore Christianity is a religion that has a person at its center, Jesus Christ, the One who reveals the Father. He makes us understand that the Scriptures are “flesh”, that is to say human words to be understood and studied in their way of expressing, but that also preserve the light of divine ! truth within, which we can only live and contemplate with the Holy Spirit. It is the same Spirit of God that leads us to the third cardinal point in our itinerary, the Home of the divine word, that is to say the Church, which, as Saint Luke suggested (Ac 2:42), is supported by four ideal columns. There is “teaching”, which is reading and understanding the Bible in the announcement made to all, in catechesis, in the homily, through a proclamation that involves mind and heart. Then there is “the breaking of the bread”, which is the Eucharist, the source and the summit of the life and the mission of the Church. Like what happened that day at Emmaus, the faithful are invited to nourish themselves in the liturgy of the table of the Word of God and Body of Christ. A third column is “prayer” with “psalms and hymns and inspired songs to God” ( Col 3:16). It is the Liturgy of the Hours, the Church’s prayer destined to give rhythm to the days and times of the Christian year. There is also the Lectio divina, the prayerful reading of the Holy Scriptures able to lead, in meditation, in prayer, in contemplation, to the encounter with Christ, the living Word of God. And, finally, there is “brotherly communion” because to be true Christians it will not suffice being “those who hear the word of God” but also those who “put it into practice” (Lk 8:21) through love’s labors. In the home of the Word of God we also can meet the brothers and sisters from other Churches and Christian communities who, even in division, live a real unity, if not a full one, through the worship and love for the divine Word. Thus we reach the last image of the spiritual map. It is the road the Word of God walks upon: Go, therefore, make disciples of all nations […] and teach them to observe all the commands I gave you…what you hear in whispers, proclaim from the housetops” (Mt 28:19-20; 10:27). The Word of God must run through the world’s streets which today are also those of computer, television and virtual communication. The Bible must enter into families so that parents and children read it, pray with it and that it may be their lamp for the steps on the way to existence (cf. Ps 119:105). The Holy Scriptures must also enter into the schools and in the cultural areas because for centuries they were the main reference for art, literature, music, thinking and the same common moral. Their symbolic, poetic and narrative richness makes them a banner of beauty for faith as well as for culture, in a world often scarred by ugliness and lowliness. However, the Bible also shows us the breath of pain that rises from the earth, goes towards the cry from the oppressed and the laments of the miserable. At the summit it has the cross where Christ, alone and abandoned, lives the tragedy of the most atrocious suffering and death. Because of this presence of the Son of God, the darkness of evil and death is irradiated by the Paschal light and by the hope of glory. But on the roads of the world, the brothers and sisters of other Churches and Christian communities walk with us also, even while divided, live a real unity if not a full one, through the worship and love for the Word of God. Along the paths of the world we often meet men and women of other religions that listen and faithfully practice the commands of their holy books and who, with us, can build a world of peace and light, because God “wants everyone to be saved and reach full knowledge of the truth” (1 Tim 2:4). Dear brothers and sisters, guard the Bible in your houses, fully read, study and understand its pages, transform them into prayer and witness of life, listen to it with love and faith in the liturgy. Create the silence to effectively hear the Word of the Lord and hold a silence after the listening, because it will continue to! dwell, live and speak to you. Make it resound at the beginning of your day so that God will have the first word and let it echo in you in the evenings so that the last word will be God’s. “And now I commend you to God and to the word of his grace” (Ac 20:32). With the same expression used by Saint Paul in his farewell speech to the heads of the Church in Ephesus , also the Synodal Fathers entrust the faithful of the communities dispersed throughout the world to the divine word, which is also judgment but above all grace, which cuts like a sword but is sweet as a honeycomb. It is powerful and glorious and guides us on the roads of history with Jesus’ hand, who you like us love with an imperishable love (cf. Eph 6:24). May our love for the Word grow deeper and deeper and make us effective instruments in the hands of God to renew the face of the earth! My dear Friends in the Word, the Synod has brought together a great number of bishops from the entire world around the WORD ALIVE. worship, para-liturgies, the evenings of prayer in lectio divina, etc., has become a source of comfort and strength that gives a sense of security to all the members of the People of God, and at the same time, the focal point that helps them to discover their future. The Word of God helps discover the true figure of Jesus Christ, who incarnates the saving love of God, through the mystery of the Cross. Because of the painful experience lived by the Church of Christ in Vietnam, the Mystery of the Cross has become not only close to daily life, but also an essential element that reunites the people of God. Inheriting the millenary culture of the “cult of ancestors”, which expresses the filial piety of our people, the Christians, in celebrating the anniversary of the death of a family member, is inspired by the Last Supper, the Passion, the Death and the Resurrection of Our Lord, whose example always touches upon the Vietnamese soul. The stories about the trials experienced by the Patriarchs and prophets, in particular “saint” Job in the Old Testament, and by the Holy Virgin Mary, Saint Joseph and the apostles of the New Testament continue to support the faith of the Catholics. Last Friday, my dear Vietnamese brother, His Excellency Joseph Vo Duc Minh, gave a summarized history of the evangelization of our people. I would like to continue his report by referring to number 28 of the Instrumentum laboris, beginning with the support role of the Word of God in the history of the Church, to show how this role was achieved in the life of the Church in Vietnam . The Gospel was proclaimed for the first time on our land at the beginning of the 16th century in the painful context of an internal war between two kingdoms ruled by brothers who were enemies. Marvelously, thanks to this coincidence, it became of great comfort for the first baptized persons and ever since, it has not ceased being the moral and spiritual support, the principle for enrichment for the Church in Vietnam, one of the most suffering ones due to bloody and consecutive persecutions. Embarking on this history, woven by hatred, ideological wars and discriminatory restrictions, our Christians are more and more convinced that only the Word of God can keep them in love, joy, peace, communion and tolerance. It is painful for me to tell you that Vietnam , until now, is in first place concerning abortions. However, this catastrophe, paradoxically, inspired the “Pro Vita” movement among Catholics, mainly consisting in looking for the aborted babies in the hospitals, baptizing them if there is any sign of life, creating cemeteries to bury them. At the beginning, these actions were accused by the civil authorities and the hospital management as crimes, obliging the Catholics to act clandestinely. Now, it is still not authorized, but it is at least tolerated. Some film makers even made documentaries about this and reporters praise these efforts in the media. Why this progress? Answer: we better recognize the witness of the Christians, those that live the Word of God and under the light of this Word, one respects life. I would like to repeat this certitude, mentioned in Gaudium et Spes, number 44: “Indeed, the Church admits that she has greatly profited and still profits from the antagonism of those who oppose or who persecute her”. Another sign worthy of being mentioned to show that the Word of God continues to support the Church in Vietnam . This would be the mass conversion of the thousands of persons of the ethnic minorities shortly after the canonization of the 117 Martyrs of Vietnam in 1988. What is curious about this is that many admitted to listening to the Protestant Radio in Manila , in the Philippines , but converted to Catholicism in Vietnam . Thus, the Protestants sow the seed and the Catholics harvest. The Word of God echoing from afar, reaching their ears, has become the source of hope for these persons lost in the mountains, deprived of all and without a future. In conclusion, I would like, as a Vietnamese Christian, to repeat the certitude that in persecutions, our greatest grace is faithfulness to the Word of God. The Catholic Church in Thailand lives its life. in Christ, through the Eucharist and Scripture. And so the Church has a life-giving mission to be a shining light of Faith and Hope in Thai society. The Thai Church as a small group amidst other faiths and religions is deeply aware of our role of being leaven in the dough in Thai society. 1. The disposition of listening to the Word is extremely important. Basic Ecclesial Communities in Thai Church use the Word of God as the core of their existence which includes lectio divina. 2. The Church in Thailand stresses the importance of Biblical studies in our seminaries, houses of religious formation, and in the formation of the laity, and helps them to know and love the Word of God, and live it and thus to share their experiences of the Word with others. 3. The Church in Thailand fully desires the Word of God to be at the heart of all catechetics and thus to lay a solid foundation of faith and Christian maturity of Christians for their mission of witness in Thai society. 4. The Thai Church using modern technology in its efforts to fulfill the three goals mentioned above will try to communicate the Word of God as the way, the truth and the life for all the faithful and people of other faiths, with emphasis on the Word as the Good News to the poor (Lk 4: 18). VATICAN CITY , OCT. 17, 2008 (Zenit.org).- Most Christians have heard the Word of God, but have they seen it in art or nature, or realized they were touching it in the Eucharist? Orthodox Patriarch Bartholomew I of Constantinople spoke Saturday afternoon at the celebration of vespers in the Sistine Chapel of using one’s “spiritual senses” to perceive the Word of God. The event, presided over by Benedict XVI and attended by some 400 cardinals, bishops, religious and laypeople, took place within the context of the world Synod of Bishops on the Word of God, which is under way in the Vatican through Oct. 26. “We regard this as a manifestation of the work of the Holy Spirit leading our Churches to a closer and deeper relationship with each other,” he said. Sitting with Michelangelo‘s “Final Judgment” behind him, the patriarch discussed the importance of the synod’s theme. 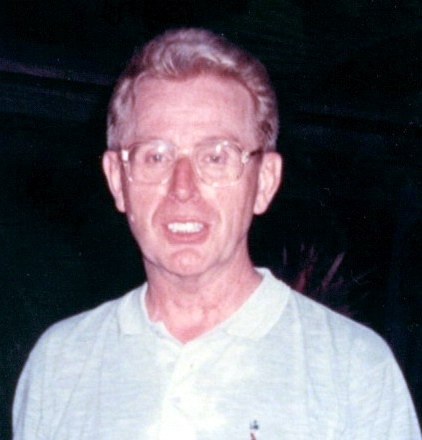 He continued: “This duty of evangelization would have been, of course, greatly enhanced and strengthened if all Christians were in a position to perform it with one voice and as a fully united Church. “Icons are a visible reminder of our heavenly vocation,” he explained. “They are invitations to rise beyond our trivial concerns and menial reductions of the world. They encourage us to seek the extraordinary in the very ordinary. “It is like the tectonic plates of the earth’s crust,” he explained. “The deepest layers need only shift a few millimeters to shatter the world’s surface. The patriarch added: “The challenge before us is the discernment of God’s Word in the face of evil, the transfiguration of every last detail and speck of this world in the light of Resurrection. For those who have not yet responded to Star’s letter, we are loooking forward to hear from you! Thanks so much. God bless the Synod Fathers and each of us. 1) Biblical courses in the seminary are too intellectual, using the western method of historico-critical exegesis, which bores most seminarians. This academic approach should be complemented with methods that take into account the culture and life situation of the hearers. 3) The urgency of developing an Asian way of reading the Bible is felt because of the tremendous challenge the Church is facing in this huge continent where millions of people feel hungry for God’s Word. There are now successful attempts to develop a biblical hermeneutics that take into account the rich culture and history of Asian peoples. There is a plan to produce an Asian Biblical Commentary that will make use of the historico-critical method of the West and a comparative cultural hermeneutics to render the profound spiritual sense of the biblical text accessible to the Asian soul. The Asian members of the CBF have also decided to establish an Asian Bible Institute, which will hopefully give the desired holistic biblical formation program. 4) This is one way of contributing to the “missio ad extra” in Asia , the majority of whose people have not yet heard of Christ. Through a gradual process of evangelization presenting Jesus of the Gospels as Teacher, Story Teller, Healer, Miracle Worker, Friend, Consoler – images that are pleasing to Asians – people of Asia may eventually be led by the Spirit to believe in Christ as the Son of God. Asia is a continent of many religions and cultures marked by degrading poverty and underdevelopment. This is the context for the Church in Asia to reflect on the Word of God in the life and mission of the Church. FABC has been promoting evangelization always in triple dialogue with the poor,· religions and cultures. Nostra Aetate and other post-conciliar documents, have confirmed the way of dialogue as the characteristic mode of the Church (Ecclesia in Asia, 3). Lineamenta and Instrumentum Laboris of the Synod mostly refer to Dei Verbum but they need to be complemented by Gaudium et Spes with its call for dialogue with the world. In Asia , proclamation of the Word demands dialogue and inculturation as requirements of the Word Incarnate. The Word of God has to become the Word of life for the poor of Asia. We have to respond to the structural causes of poverty and marginalization for integral liberation in the light of the Word of God. The beatitudes of the Kingdom, especially concerning the poor in the Gospels of Matthew and Luke have to be proclaimed both for the rich challenging their self-sufficiency and for the poor as source of hope for liberation and life. Biblical revelation stresses God’s love for the poor, namely the widow, the orphan and the stranger. God always works vindication and justice for the poor (Ps 103:6). Jesus our Lord embodied the divine compassion for the poor in his proclamation of God’s reign. God’s preferential option for the poor is the Word of life for the ignored, humiliated and the deprived. The Church must share the Word of God as the Word of hope and life for the poor of Asia . Let us keep praying for the Synod, that it may indeed renew the face of the Church and of the whole earth. We all have received Star’s letter about the CBF-SEA workshop next year. Please let us know your preferences so that we can concretize our plans. Says Church’s 1st Task Is to Be Nourished by Scripture. “Nations that at one time were rich with vocations are now losing their identity, under the deleterious and destructive influence of a certain modern culture,” the Holy Father noted in his homily. “There are those who, having decided that ‘God is dead,’ declare themselves ‘god,’ taking themselves to be the singular artificers of their destiny, the absolute lord of the world,” he continued. “Clearing God away and not awaiting salvation from him, man believes he can do as he pleases and poses himself as the sole measure of himself and his action. “But when man eliminates God from his horizon, when he declares that God is ‘dead,’ is he truly more happy? Does he truly become free? “The Church never tires of proclaiming these glad tidings, as she does today in this basilica dedicated to the Apostle of the Gentiles, the one who first spread the Gospel in vast regions of Asia Minor and Europe ,” he said. The synod’s work will begin on Monday with a meditation offered by Benedict XVI. We announce the good news that our next SEA Workshop will be held at Baan Phu Waan Pastoral Center in Bangkok . The time has been set between 11 and 25 September 2009. We will give you the details as soon as possible. Please put it in your agenda for next year. May the Synod on the Word of God give new vitality to our ministry and new life to our dying world. In the Lord, yours Sr. Emma Gunanto, osu.